Despite the vast array of dangerous creatures in the Metroid universe, none can dispute the terrible power of the X parasites. They laid waste to the top-security BSL space station, their home planet SR388, and were it not for Samus Aran, the whole universe. The specimens of the BSL station provided many interesting hosts for the X; the gravity-defying Nightmare, the high-speed Serris, and the powerful security robot all proved to be valuable hosts and powerful weapons. However, one of the X hosts is surrounded by mystery, even though most players do never realize it; the space dragon clone. Most people attribute this creature to be a clone of the pirate general Ridley; however, does this really make sense? With his history throughout the Metroid series, how did he appear in the BSL hold? There are three possibilities: First, the frozen dragon was the original Ridley; second, the dragon specimen may be a clone of Ridley; and third, the BSL specimen may actually be a completely different space dragon, not the general Ridley. 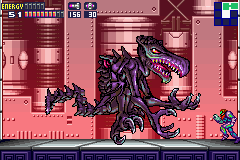 The last guaranteed appearance of Ridley in the Metroid timeline was in Super Metroid, when Samus battled the dragon within the confines of Norfair. Shortly after defeating Ridley, Samus completes her mission and defeats Mother Brain, resulting in the destruction of the pirate base and the entire planet of Zebes. So, if the BSL specimen is the original Ridley, he must have somehow escaped from the doomed planet, only to be later captured by the Galactic Federation (GF); while this may seem unlikely, it cannot be called impossible. The space pirate army had many soldiers, and it is quite likely that they could have learned of their general’s defeat very quickly (especially after their past experiences with the hunter). A team of pirate soldiers could have rescued the dragon from the depths of Norfair and transported him to a pirate shuttle. However, since the pirate fleet was already heavily damaged from its past engagements with the GF, this ship could have been under-equipped for battle and easily captured by the Federation. Still, while this possibility does exist, it is not very likely; the pirates would have to discover Ridley, rescue him, and remove him from the planet before its eventual destruction; they would also have to avoid being caught by Samus Aran, and they would have to avoid further injuring their general during the move. Then, once the pirates had left the planet, Ridley would have to be somehow captured by the GF. Ultimately, the probability of the BSL dragon specimen being the same Ridley faced in Super Metroid is very low. It is possible that the specimen seen in the BSL station was not the original Ridley, but instead a Ridley clone. This is far more probable, since it removes the tight restrictions placed on Ridley’s body between Super Metroid and Metroid Fusion. It is well known that the Federation had the facilities necessary for cloning, since they produced a number of metroid clones in the depths of the BSL. The only thing the federation would need is a source of Ridley’s DNA. While this may be a difficult thing to obtain, the federation did have a few useful opportunities. 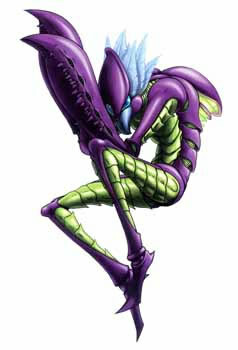 First, after the original attack on Zebes the Federation may have sent in teams of soldiers to defeat and remaining pirates; if they had also sent in a team of scientists, they could have extracted a sample of Ridley’s DNA from his lair (he was bound to have left some blood or skin in the room where he battled Samus). Their second potential DNA source would be after the Tallon IV incident; while most of Ridley’s genetic material would have been lost in the explosion of the chozo temple, it is possible that enough may have survived for Federation scientists to discover and obtain a sample. The final opportunity to obtain a DNA sample is after the initial attack on Norion; while the attack was short, Ridley was still present and did engage in combat. Like the case in Tallon IV, his genetic material would certainly have been present, and with enough diligence Federation scientists could discover a sample. The final possible source of the Ridley clone rests on the idea that the dragon may not be Ridley at all: this specimen may actually be a completely different space dragon, completely different from the well-known Ridley. This is supported by the actual appearance of the creature: while the frozen specimen appears to look just like Ridley, the X duplicate (which is a perfect genetic copy) looks very different. It has blue skin instead of Ridley’s purple tinge, and its nose is wide and rounded while Ridley’s extends into a point. Still, we cannot say with certainty that the creature is not the pirate general. However, if the specimen is not of Ridley, where did it come from? The Zebesian space dragon is a long-dead race, with its only surviving member being the famous Ridley. As a result, there is very little known about the species; really, we only know that they lived on Zebes before the chozo. Still, this is enough to present the possibility of finding the DNA of one. 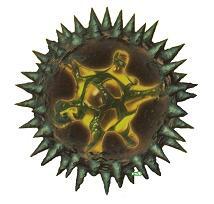 The Federation had two opportunities to do work on Zebes: first, while the peaceful chozo still resided there; and second, after Samus drove the pirates from their base in the original Metroid game. While it is unlikely that the Federation would have done any mining or excavation in either of these periods, it cannot be denied that the GF did have a chance to search for space dragon fossils. Zebes may even have polar areas, and a dragon corpse could have been frozen into the ice; this would also explain why the BSL specimen was frozen. Alternately, the Federation may have found a dragon fossil and used the DNA to produce a clone, which they then kept in stasis. Ultimately, its unlikely that we will ever know the true origins of the BSL dragon specimen. For now, there are many possibilities. It may be the original Ridley, somehow captured from the space pirates; it could be a clone of Ridley, produced from DNA obtained by Federation scientists; or it may be a completely different space dragon, fossilized on Zebes and cloned by the GF. Regardless, one thing is for certain: it was a mighty X host, and an excellent boss. with fusion being the supposed last in the series it probably is ridley in stasis,maybe the federation were studying his body to found out more about his weaponry,(and that infamous tail)and to see what would happen if the x got to him,but its more likely that the ridley in stasis is clone.